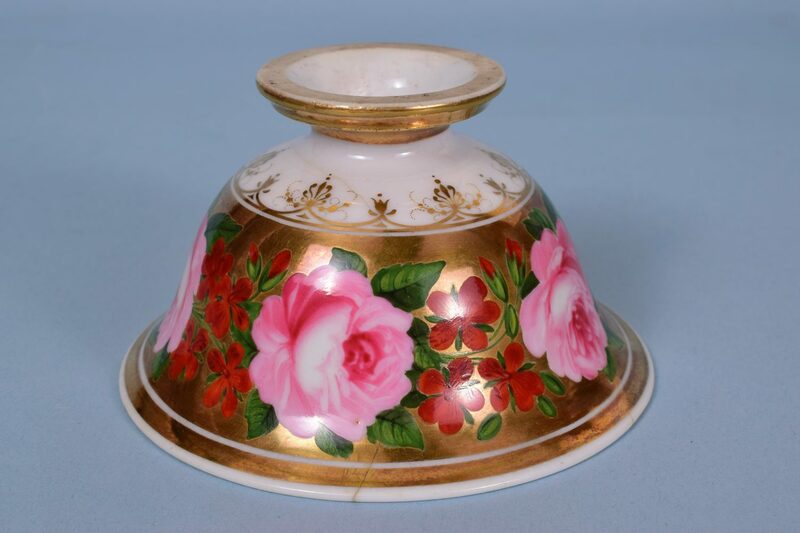 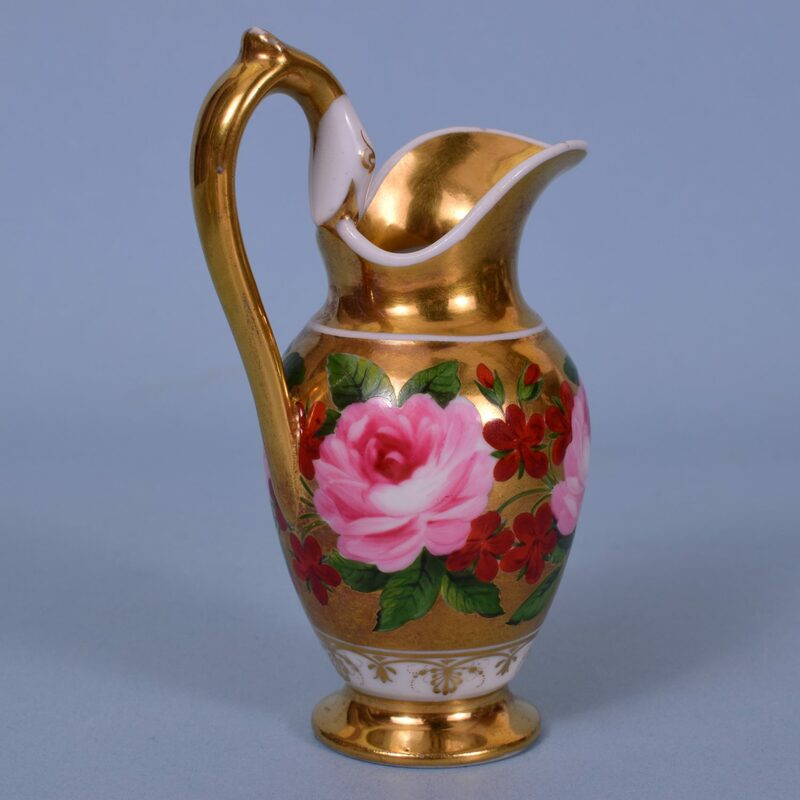 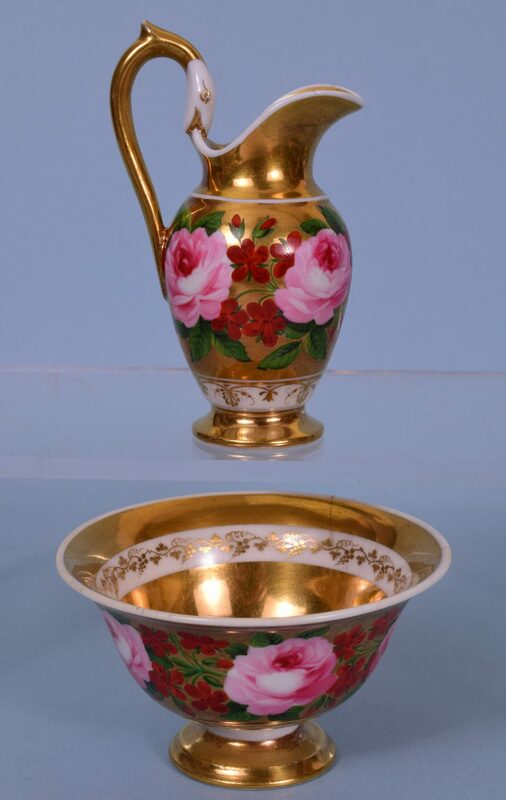 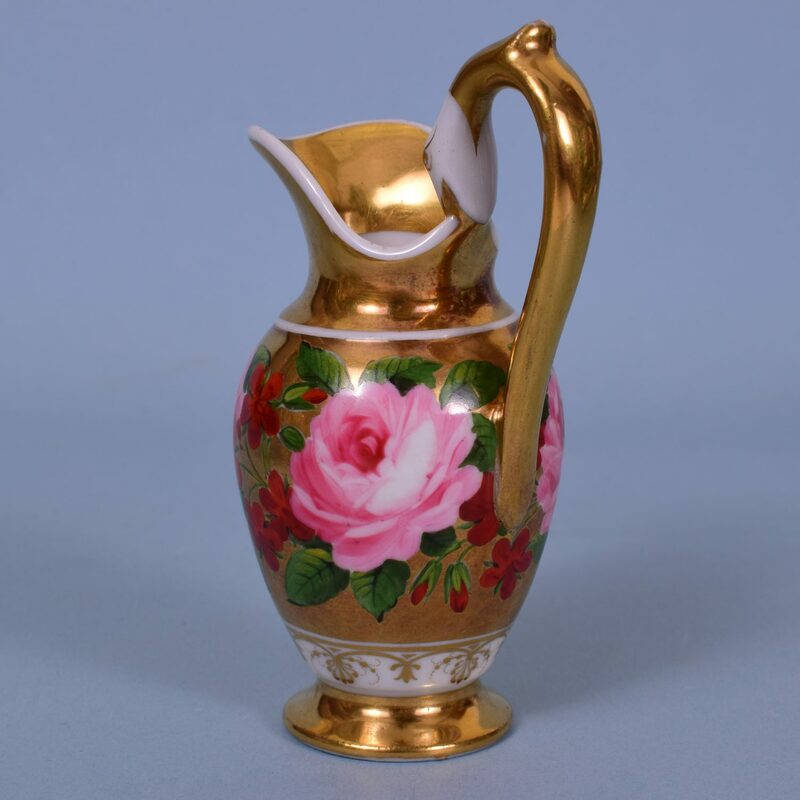 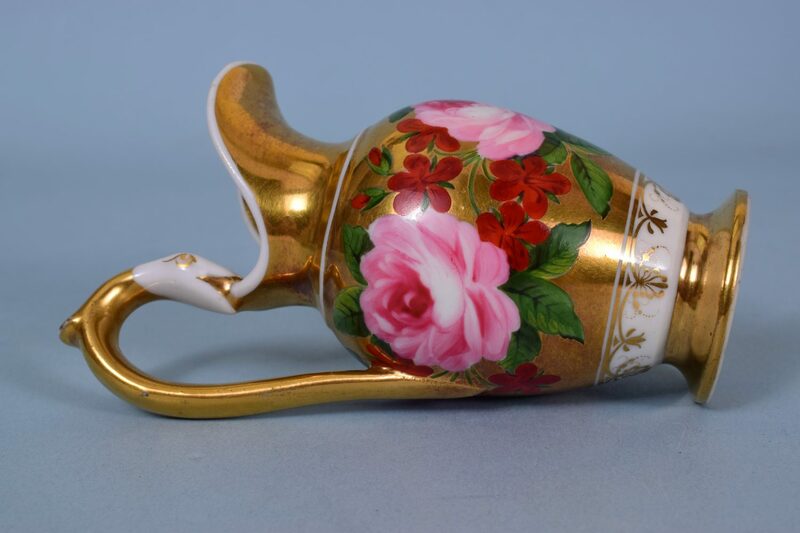 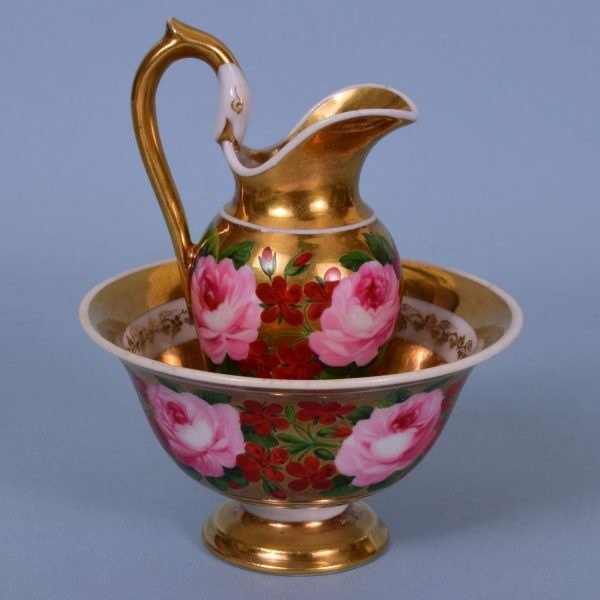 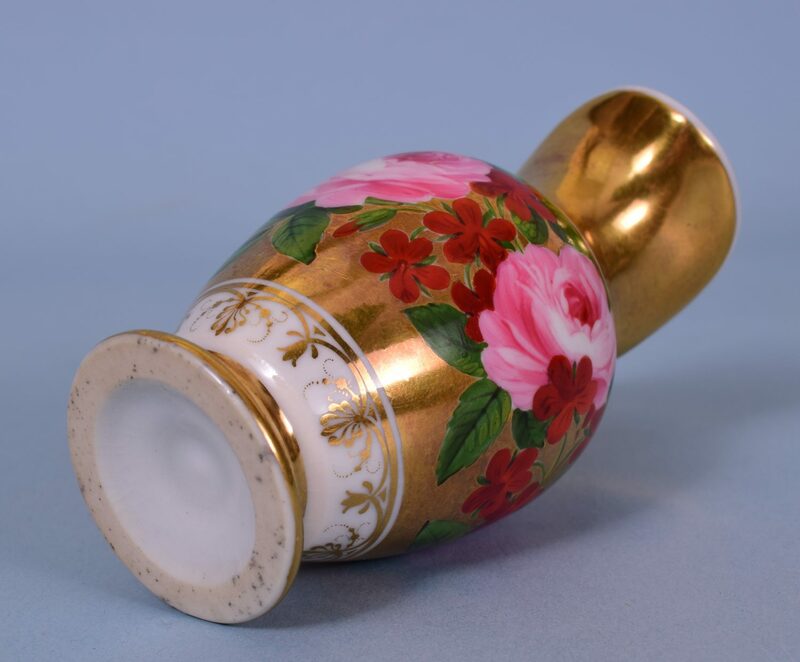 A fine quality and very decorative early 19th century Chamberlain’s Worcester porcelain miniature ewer & basin, decorated with hand painted roses and highly burnished gilding (unmarked). 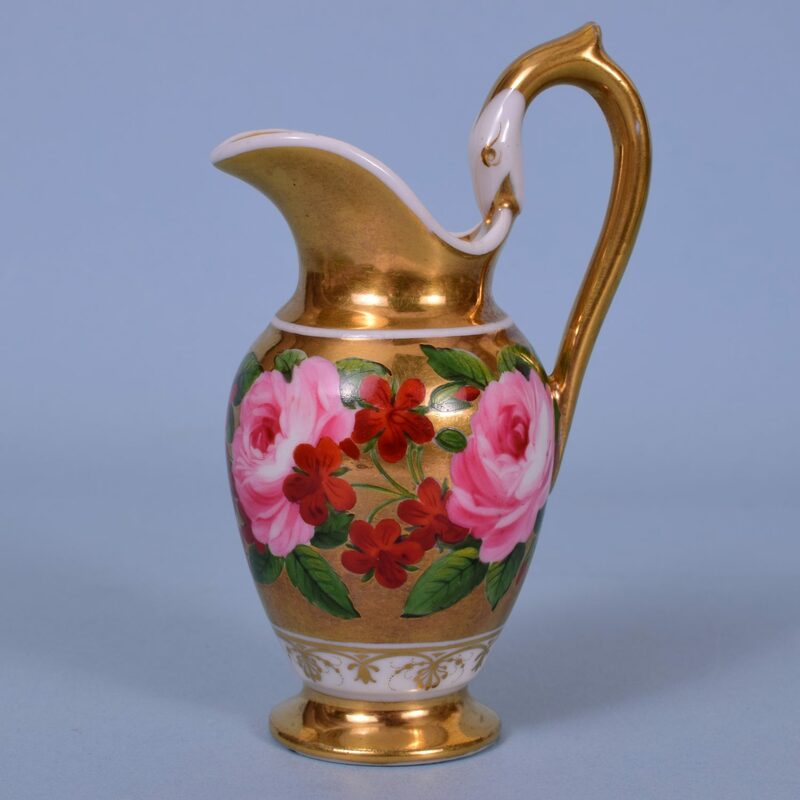 Condition: Jug is perfect. 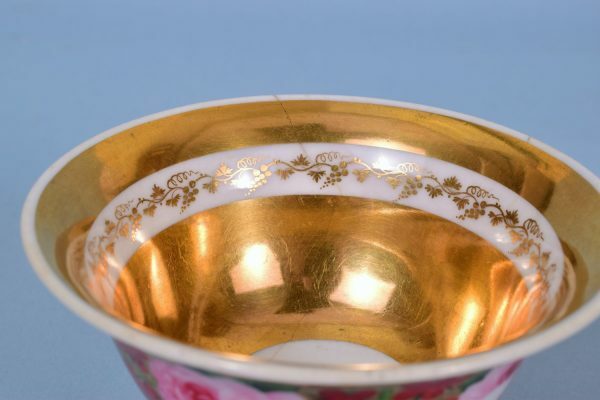 Bowl has a crack.